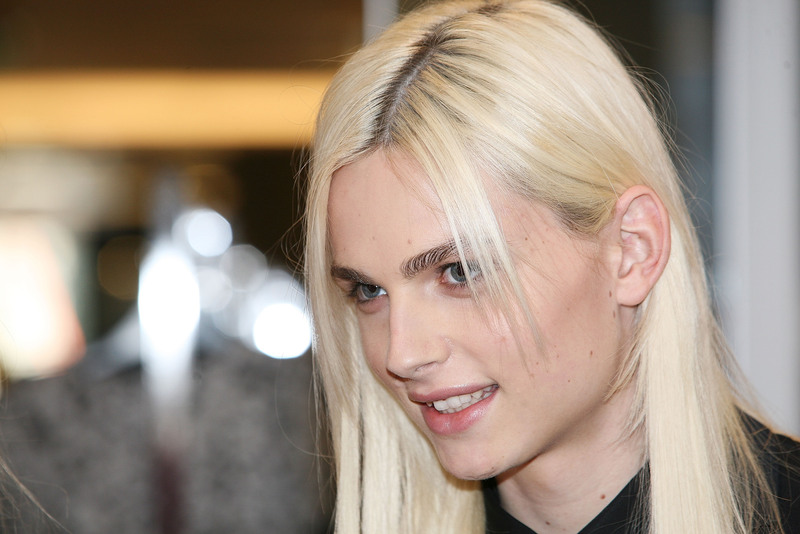 On Thursday, model Andreja Pejic officially came out as transgender, announcing that she is changing her name from Andrej Pejic and has undergone sexual reassignment surgery. Although Andreja was already known for her androgyny and modeled both men’s and women’s fashions, her announcement is still huge news. And as a trans woman myself, it certainly means a lot to me. Andreja said that she knew she was a woman from a young age and that she wanted to transition, but was unable initially and afraid to publicly announce her transition until recently. In her words, “There’s a difference between coming out to your family and close friends, and coming out to the whole world and opening yourself up to judgment.” Despite her fears, the media's reaction to her coming out appears to be largely positive, with perhaps the exception of some headlines focusing on her surgery as the point of validation. More importantly, Andreja says that she feels more comfortable with herself than ever. As someone who has looked up to her for quite a while, I couldn’t be happier for her. For me, when I was struggling with the decision of whether or not I should transition, Andreja was someone to aspire to — trans or not. Just knowing that her visibility challenged people’s conceptions of gender gave me courage to do the same. Little did I know that during the awkward, unfashionable early stages of my transition, one of my role models was making the same journey with me. I began experimenting with my gender presentation shortly before she burst on to the fashion scene. I had struggled to even admit to myself that I was not male, because I was terrified of what people would think or say, especially where I lived in East Tennessee. Like Andreja said, coming out to my parents was easy, but the rest of the world was another story, especially being as shy as I was. I wasn't ready to fully come out yet, but I started to present androgynously and wear makeup in public. It felt right, but I was terrified. I constantly worried that I was being judged, and I had a few bad experiences of people making nasty remarks to me. Even so, I felt like I was finally going in the right direction. She was gorgeous, androgynous, and completely unrestricted by the expectations or conventions of masculinity. She was transgressive and blew people's minds simply by being who she was — hers was not exactly a mainstream aesthetic, especially not where I lived. Moreover, she was completely unashamed about her appearance, and it inspired me. Seeing someone be so unashamed of who they naturally were made me feel that I could be unashamed too. I slowly came out of my shell and became more courageous in my presentation. Eventually, for the first time in my life, I had developed some real confidence. Even though Pejic hadn’t publicly begun to transition at the time I started to, I still looked to her for inspiration and strength. Just knowing that her visibility challenged people’s conceptions of gender gave me courage to do the same. Little did I know that during the awkward, unfashionable early stages of my transition, one of my role models was making the same journey with me. Pejic's admission about her own insecurities reminded me of how I used to deny my feelings about who I was because I didn’t see being true to myself as an option. I was taught by our society that men could never become women and that I would be seen as a freak. It also reminded me of trying to be content with androgyny but still yearning to be “fully” myself, feeling that I had to compromise part of myself in order for others to accept me. It turns out that I wasn't as alone in those experiences as I felt at the time, and if I can relate to those stories, there are undoubtedly others who are now going through their own similar experiences. The difference for them is that now, they have an a "possibility model" in Andreja. She is visibly affirming their feelings as normal. Her story helped me, even when she hadn’t told all of it yet. I have no doubt that she can inspire others in the same way now that she is in a position where she is comfortable enough to be public about her transition. If she gave me courage, then certainly she will be able to do the same for countless more with her platform. "I wanted to be a good kid and I wanted to please my parents," she says. With little success, Pejic went about trying to hang out with the boys and participate in team sports. "I kept my dreams and my imagination to myself and became pretty good at acting as a boy. But I was hiding who I was." Considering how difficult it can be to live as a transgender woman in our society, I think I can safely say that we need as many role models like Andreja as we can find. I grew up in a time when there were no real role models that I could identify with, but more and more, inspiring transgender people are making themselves known and becoming advocates for our community. Every time it happens, I am glad to know that young trans people can rest assured that they have people to look up to and the knowledge that they are not alone on their journeys. Personally, I am happy not only for Andreja's courage and happiness, but also to know that she is now fighting alongside me for equality. It is a good feeling.